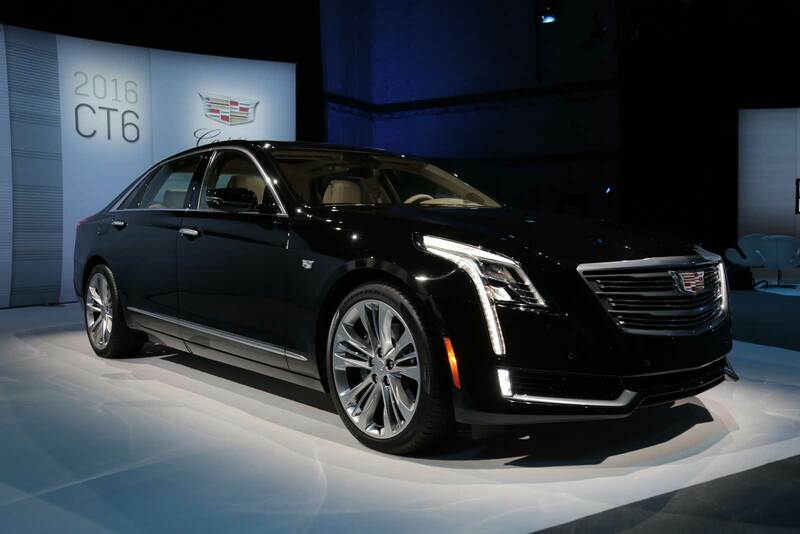 DETROIT – On guy asked if he could sit behind the steering wheel while another got in the back seat and a third stood outside the car checking out the lines of the 2016 Cadillac’s CT6. You expect that sort of reaction out of young boys but these were fully grown men. The CT6 was also equipped with magnetic ride control. It had selectable drive modes and active rear steer. And there was active vehicle hold that prevented the car from moving forward or backward when the driver’s foot was off the brake. It is meant to reduce fatigue during stop and go traffic. There was night vision, automatic front and rear braking and full-speed range adaptive cruise control. Our test car did have not any of that but it did have Cadillac’s new 34-speaker premium sound system. It had a 360 degree overhead view camera, a rearview camera and what Cadillac called an industry first surround view video recording system that could record front and rear views while driving or 360 degree views if the security system is violated. Of course, it had a Wi Fi hot spot, Bluetooth, satellite radio, a navigation system, voice controls, a heated steering wheel, adaptive cruise control, front and rear automatic braking as well as a bunch of other creature comforts. All that technology and more was wrapped in stylish sheet metal.